We have come so far in just a short time! 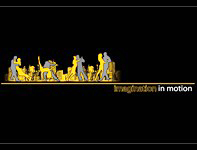 We started with just 126 people in 2008 and hit over 700 in 2013. We’ve grown from 2.5 days of classes to 3 full days of classes (from 1 class to 3 classes at all times – and soon to be 4!). We began with one live act and 29 hours of music across two rooms, and more than doubled that to 4 live acts, 10 hours of live music, and 68 total hours of music across three concurrent rooms! Our demographics have changed, too: our HFX ‘07 dancers were primarily Lindy Hoppers and Westies, but as the years have gone by, Blues has become the prevalent dance at the Fusion Exchanges with 93% of attendees reporting intermediate to advanced Blues experience. That said, about 75% of our attendees have significant experience in Lindy, Tango, WCS, or other dance styles. When we first launched in Houston, all our attendees were from the US, and most were from Texas itself. With every subsequent FX, however, we draw from further across the nation and globe. Seattle and Portland represent in huge numbers every year, and we’ve also had the honor of dancing with international travelers from Germany, England, Brazil, Australia, Indonesia, Korea, and Japan. At the end of the day, though, the statistic that matters the most to us is how many people plan on coming back next year. Hope to see you all there year after year! Vegas was our biggest event yet, with over 700 dancers in attendance. Finally realizing our dream of a single, premium venue for housing, classes, and dances, we were hosted by the fantastic Alexis Park All-Suites Resort in Las Vegas Nevada. Featuring Samantha Farrell, Hamilton Loomis, Sean Morse, Danny Maika, and FX veteran David Keogh, our live acts rocked the house with original music and innovative collaborations. We were also excited to bring in fresh new instructors and welcome back favorites, and continued to set a high bar for DJ quality, overall event organization, and dancer community. Returning to the West Coast in 2012, we continued our single-venue experience at the Just Dance Ballroom in Oakland, CA. Selling out in just a few hours, the theme for this year was “big,” with almost 650 attendees (from as far away as Japan) and a record 41 classes. We set a live music record as well, with over ten hours of acts including veteran Fusion artist David Keogh, Brother Yusef, Sean Morse, Danny Maika, Steven “Feelgood” Watkins, and the California Honeydrops. Finally, we made a big community push with fun activities before and during the event such as our San Francisco scavenger hunt, Fusion Friends program, and dance cards. 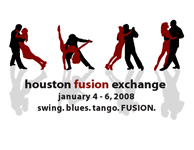 In 2011, Fusion hit the East coast from January 7-9 at Springstep in Boston, MA. Our nearly 500 attendees loved the single-venue experience and three rooms of simultaneous classes and DJs. Drawing from our top cities of Seattle, Portland, and Somerville, we brought in power hitters such as Ruby Red, Amanda & Shawn, Mario & Deborah, Homer & Cristina, Mike the Girl, and Barry & Brenda to drive our dancing forward, as well as inviting back David Keogh and Auditory Sculpture for 4.5 hours of live music. When the police temporarily shut down the music due to noise complaints, the dancers danced on, creating their own music using a piano, a harmonica, their voices, hands, and feet. San Diego marked the first of our attendee challenges: a showdown between Ivy and Andrew’s alma maters, as well as a city challenge to see who could bring the most attendees. The Claremont consortium and the San Francisco Bay Area won their respective challenges, and got an extra bonus class at the event by Amanda Gruhl and Shawn Hershey. This was also where we started to innovate with extra attendee activities and amenities: we arranged a daily dinner shuttle to downtown San Diego, a pre-event Disneyland outing, and discounts for Dance Only attendees to go on rock climbing trips, wine tastings, and martial arts classes during the day. Finally, SDFX was where we first met David Keogh, an FX staple who brought us a set of music composed specifically for Fusion dancers. At 400 attendees, we continued to grow, and made big plans for the years ahead. 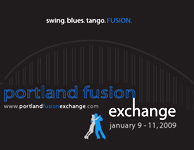 In 2009, Ivy teamed up with Andrew Sutton and the Fusion Exchange moved to Portland, establishing the pattern of moving to a different city each year. Hosted at the Scottish Rite Center from January 9-11th, we introduced Fusion to the Pacific Northwest. More than doubling in size since HFX to 350 attendees, we were lucky to score local Tango legend Alex Krebs as a headline instructor, and we also got our first peek at Campbell Miller. Our first year! Ivy’s brainchild, HFX was held at the Melody Club in Houston, Texas, drawing most of our dancers from Houston, Austin, and Dallas. We took breakout classes from Andrew Sutton, Jerry and Kathy Warwick, Ben Long, Lessa Lamb, and other dynamic instructors, and boogied down to Luther & The Healers and a great lineup of DJs pushing the boundaries of social dance music. 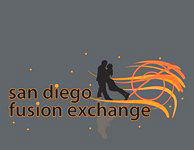 This innovative event was the first event of its kind to promote the idea of fusion: the ability to create, adopt, and adapt various dance forms to follow the multitude of influences in a single song. Despite starting small, with only 150 attendees, HFX launched one of the most successful dance exchanges of the last decade.